Store Your Make-Up With Beautify – And Competition! Which is where the lovely people at Beautify come in. 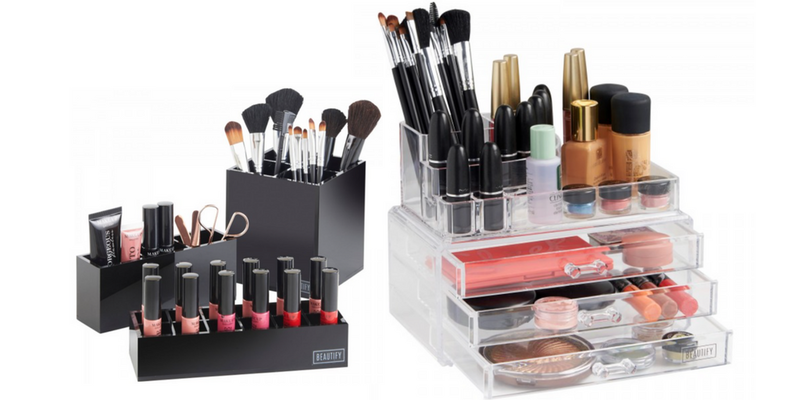 Beautify are one of the Domu brands, and I am in love with all their make-up storage systems and organisers. There’s so much choice that you’ll find something to store all your different make-up products in: whether you’ve got tonnes of the stuff, or just a few select pieces. They’ve got everything from vanity cases to lipstick organisers, and my personal absolute favourite: the clear acrylic organisers. These have taken the beauty world by storm since Kim Khardashian started using something similar for her own make-up. Since then, everyone wants them – and I can see why. What better way to produly display your gorgeous and much loved make-up, than something that not only protects it, but displays it neatly and carefully too? 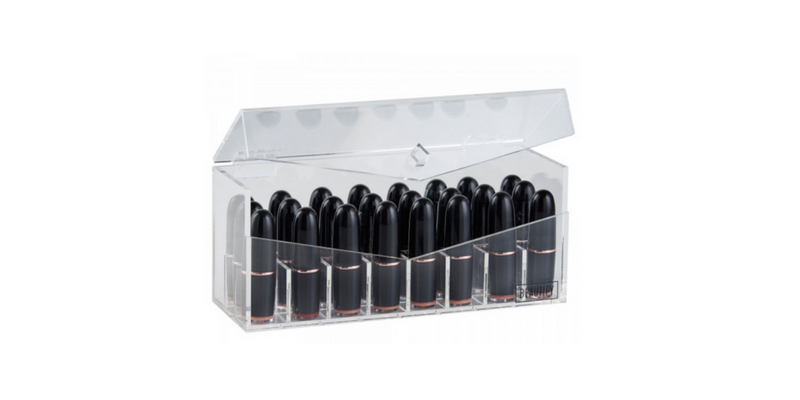 The first was the largest in the range – the 8 Tier Makeup Organiser. With 8 tiers of make-up storage, this simple and stylish organiser has ample space for all your make-up. Although, you could totally use it to store accessories, jewellery and many other things too. Within the tiers are seven drawers and the top compartment has a lid, so it’s more of a box than a drawer. It then also comes with two removable dividers to put where you would best like them. If you have a comprehensive collection, this will provide you ample space. I like to keep my make-up split in various ways, including by collection, so this is the perfect way for me to display ranges of my favourite products. The next size down was the 6 Tier Makeup Organiser which is exactly the same, but just with six tiers instead of eight. This means there are five drawers with a top lid compartment, along with two removable dividers as well. If you have a large make-up collection this will give you enough space comfortably – with lots of extra space to keep adding to your hoard! The third size I’ve been trying out is the 4 Tier Makeup Organiser. This one is a little different, and probably my personal favourite from a pretty perspective! It comes with very glamorous handles on each drawer and segregated sections on the top. The three draws are all simple styled draws for normal storage and then the top is halved: one side dedicated to lipsticks with individual compartments for each of your favourites, and the other side is cubed to give you storage for things like brushes, bottles and taller make-up and beauty products that need to stand. This top section just means that your make-up can be displayed in such a pretty way, as well as practically too. All three are a fantastic investment as a beauty and make-up lover. 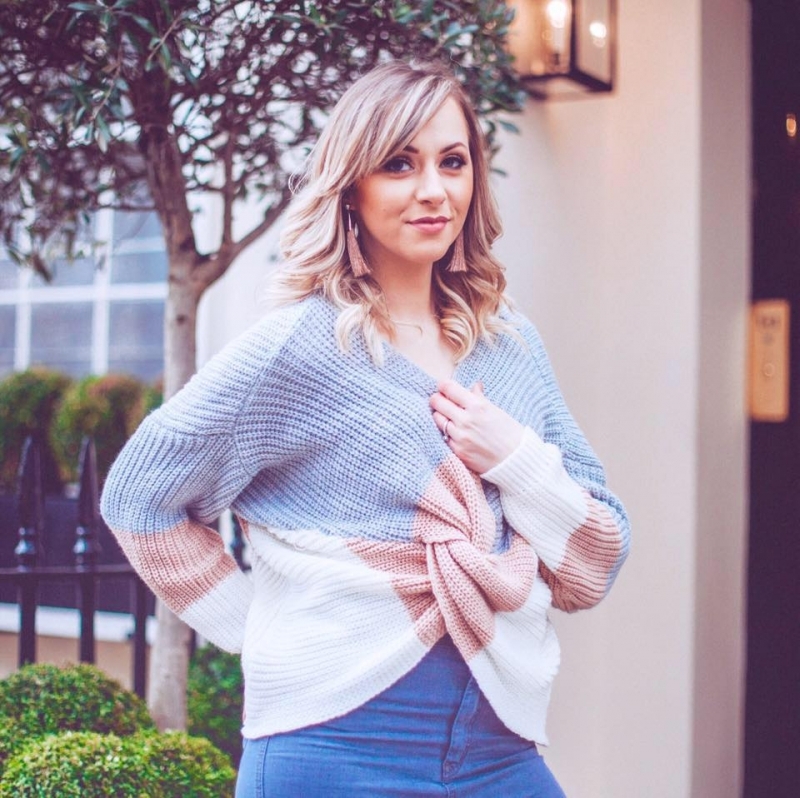 All that you need to do is decide which size to go for – and that depends on how much make-up you have – and plan to buy! The units themselves are sturdy, excellent quality, easy to keep clean and super practical. And you’ll be pleased to hear that no more make-up has been harmed under my boyfriend’s foot since using this! Hurray! Because I love the Beautify storage units so much, I’ve teamed up with the lovely folks there to give YOU the chance to win three of their much loved units! 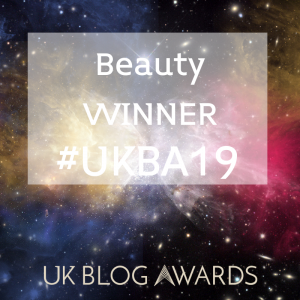 One luck winner will take home the Beautify Makeup Organiser with 3 Drawers, Beautify Clear Lipstick Holder and the Beautify 3 Piece Black Storage System – and have their own set of gorgeous storage for all their make-up and beauty needs. All you need to do is enter via the rafflecopter below. AND remember – every SINGLE blog post comment you leave on ANY recent blog post counts as an extra entry too!